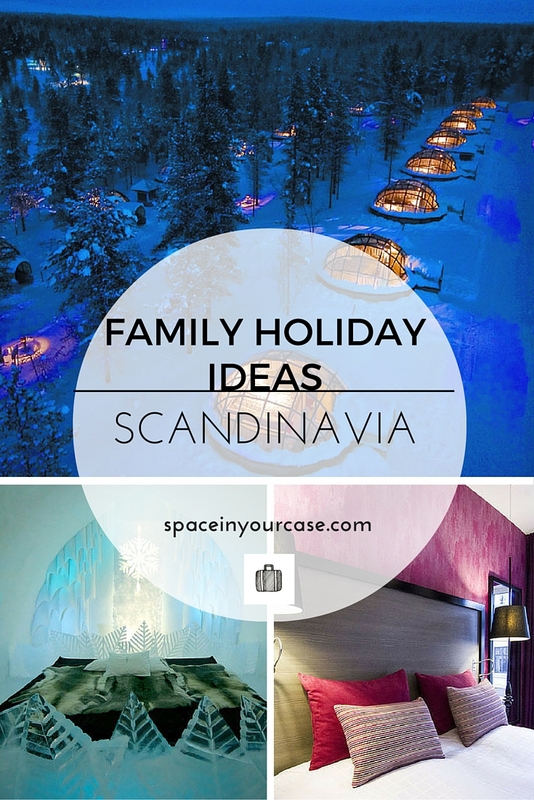 A family holiday in Scandinavia? When you think of family holidays what’s your first vision? Chances are it’s a beach somewhere hot, a bucket and spade, maybe a theme park, or a tent, and a swimming pool. 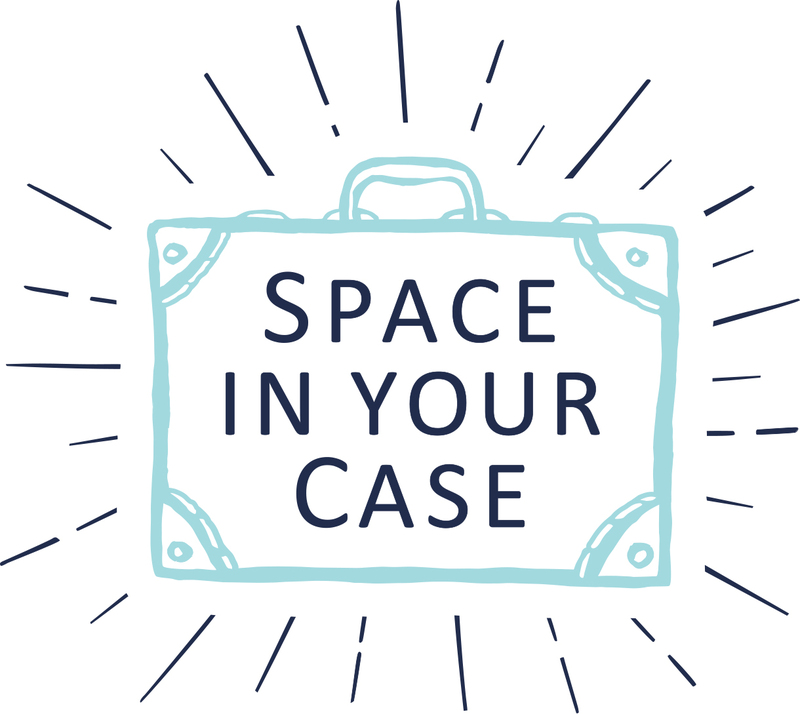 But if there’s one thing we’ve learned since starting Space In Your Case, it’s that family breaks come in all shapes and sizes. And all destinations! We spent the day recently with Best Served Scandinavia and had our eyes opened to some new trends in family travel. We ate Danish Smørrebrød – think rye bread open sandwiches – and discovered that even the kids liked them; and we came home with the most gorgeous brochure of potential Scandinavian trips to browse and drool over. It’s difficult to pick just one beautiful trip from Best Served Scandinavia. They all look special, and so different from anything we’ve done before. But when I saw the Highlights of Swedish Lapland tour, I knew that was the one. A 7-day journey filled with thrilling firsts I know my kids won’t be able to resist. The trip starts in a Treehotel in a forest in Harads; with names like The UFO, and The Mirror Cube, I’d find it difficult to pick which room I wanted to stay in, but they all sound incredible. 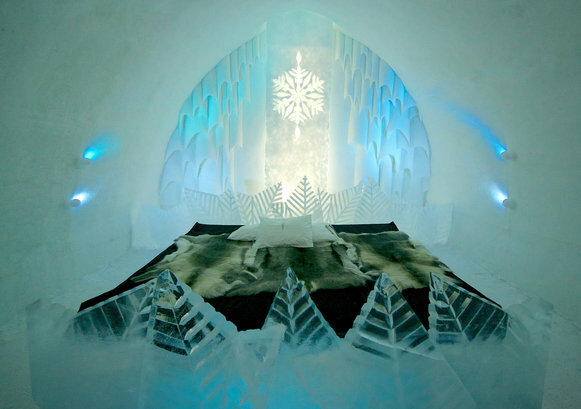 As if that isn’t exciting enough, we’d then take a train across the Arctic to the world-famous ICEHOTEL, to sleep under reindeer skins within ice walls. The hotel is built from scratch each year, and try as I might, I just can’t picture how awesome it must look. We’re all about the adventure in our family, and anything that’s just a little bit different always gets us excited for a trip. Imagine the travel fever if I told the kids we were sleeping here! The second half of the trip is set in Bjørkliden, in Hotel Fjallet, a mountainside ski hotel – I don’t need to tell you how much that ticks all our boxes, given my previous lyricism over ski holidays. It’s one of the best spots for seeing the Northern Lights too, which has been on my travel wish list for as long as I can remember. But the highlight of the last few days for me would be the opportunity to take the kids husky sledding. I did this once with my husband in Canada, and it has been high up in my list of best travel memories ever since. I’d just love to see my son’s face when we showed him the huskies and told him the plan – it would be like all his birthdays had come! 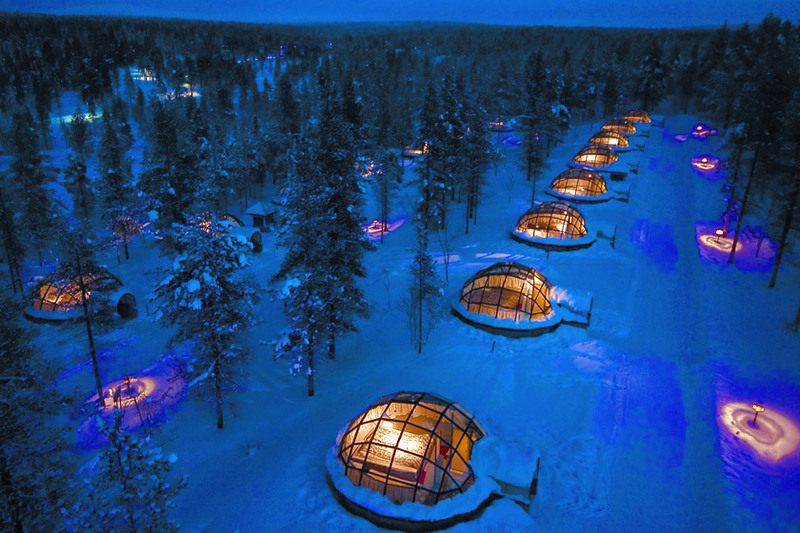 There are so many unusual places to stay in Scandinavia, I’m sure I wouldn’t be able to stop at just one trip. I’m desperate to explore Scandinavia. Have you ever felt a real draw to a certain part of the world, and you can’t quite put your finger on why? That’s how I feel – and as such, picking one destination that I’d love to visit is like being asked to pop into Ladurée and only being allowed to choose one macaron (impossible!). I’d to go to Stockholm with my five-year-old – we’d take a boat tour, jump on a ferry to the old town for a wander, check out the Junibacken Museum and the rides at Gruna Lund. I’d bribe her with ice cream to come into interiors shops aplenty and to the ABBA museum with me (she loves Mamma Mia and Dancing Queen but suspect it would be more fun for me, than her!). Hotel Diplomat welcomes families, is close to the zoo and has a great waterfront location. Oh and the rooms will please you, if you love huge bay windows and richly textured upholstery (who doesn’t?). Also on my must-do list is a child-free weekend to Copenhagen. It’s our 10th wedding anniversary this summer, as if we need an excuse to have a weekend away! 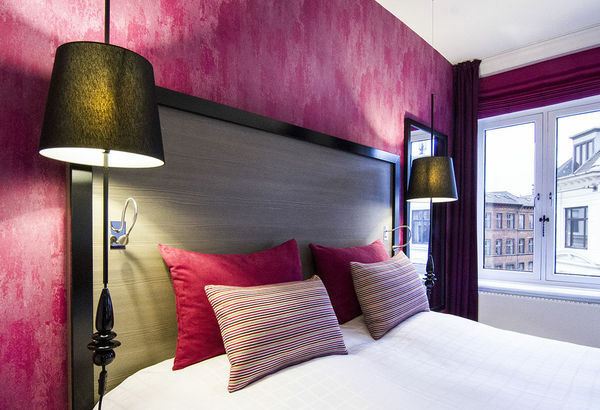 We’d stay at the Andersen Hotel – the fact that it has a ‘wine hour’ every day where guests can have a complimentary glass is reason enough to book, but it also has plush Designers Guild interiors with bold colours, patterns and fabrics in every guest room. We’d walk along the waterfront to the statue of Hans Christian Andersen’s Little Mermaid, we’d take in views of the city from the top of the 17th-century Rundetårn and we’d drink endless cups of coffee and check out Torvehallerne, the covered gourmet food market. I’m fairly sure that after a taste of Scandinavia, I’d be booking up to visits to other Nordic countries Norway, Finland and Iceland! I was lucky to explore lots of Scandinavia as a kid, my happiest travel memory to date is collapsing in a fit of giggles in a Danish Supermarket with my brother. The source of our amusement was a packet of biscuits called Bums! Scandinavia has much much more to offer families than cheeky biscuits of course and there are plenty of places I have yet to tick off my list. Having experienced the wilds of Skye and Iceland this year and with Northumberland’s Farne Islands next on our list, I would also love to experience the Faroe Islands. 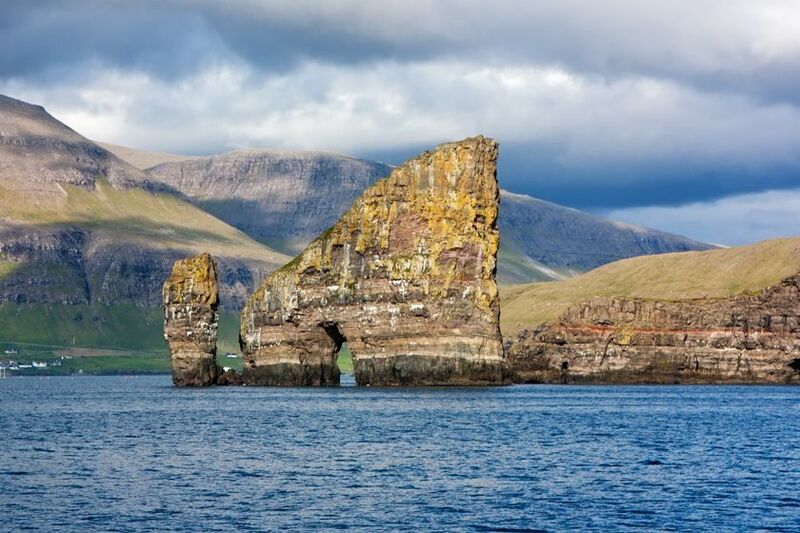 Lying halfway between the Norwegian Sea and the North Atlantic Ocean, midway between Norway and Iceland, the Faroe Islands are an archipelago made up of 18 wild, green islands under Danish sovereignty. A remote and beautiful place where you can truly switch off and escape. See puffins, amazing rock formations, secret fjords and waterfalls that fall into the sea, escape right into the wild as you island hop by under sea road tunnel, ferry or even helicopter. 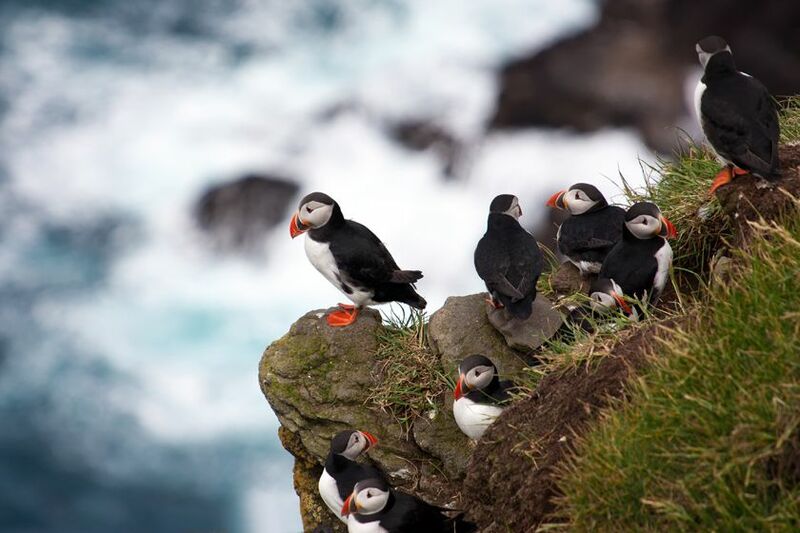 The Classic Tour, an 8 day self drive has it all, including half a million puffins, the ruins of Magnis Cathedral and the power of Bosdalafossur waterfall. Have you taken the children on a Scandinavian trip? We’d love to hear your stories. Love this! I’m planning a Scandinavia trip – can’t wait to visit! Ooh I’m jealous. I’ve been wanting to go for so long, and it’s never come close on the horizon, that Scandinavia has almost arrived at mythical status in my mind! Time to head in a different holiday direction soon I think! Oh, I would love a holiday to Scandinavia. I’m with Penny too, the Faroe Islands look just wonderful. Bums biscuits!! Penny, you crack me up. Seriously though, Scandinavia is top of my list at the moment. So good in winter AND summer.